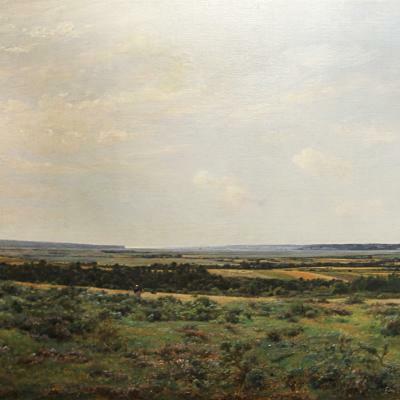 Along with other landscape painters of his time, Norton Bush was compelled to explore regions with unique characteristics by the writings of a popular scientist and naturalist, Alexander von Humbolt. He visited the jungles and coastlines of Peru, Panama, Nicaragua and Ecuador where he created detailed sketches and notes on the geographic characteristics. 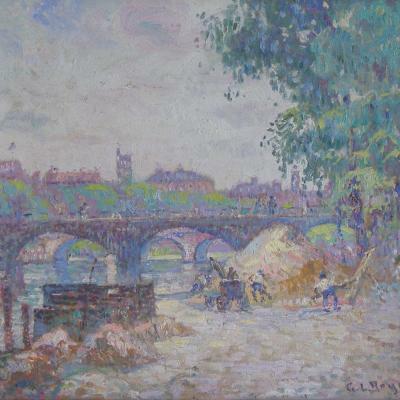 It is most likely that his paintings were based off of sketches created abroad, and later painted in his studio in California. 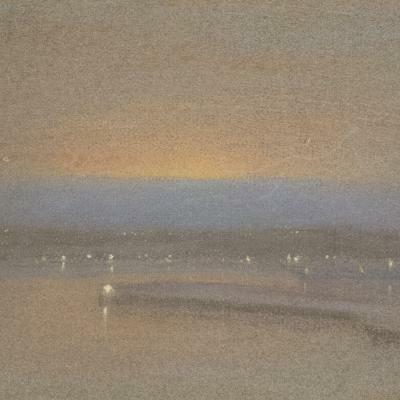 This painting echoes characteristics that are typical of Frederick Church's style. 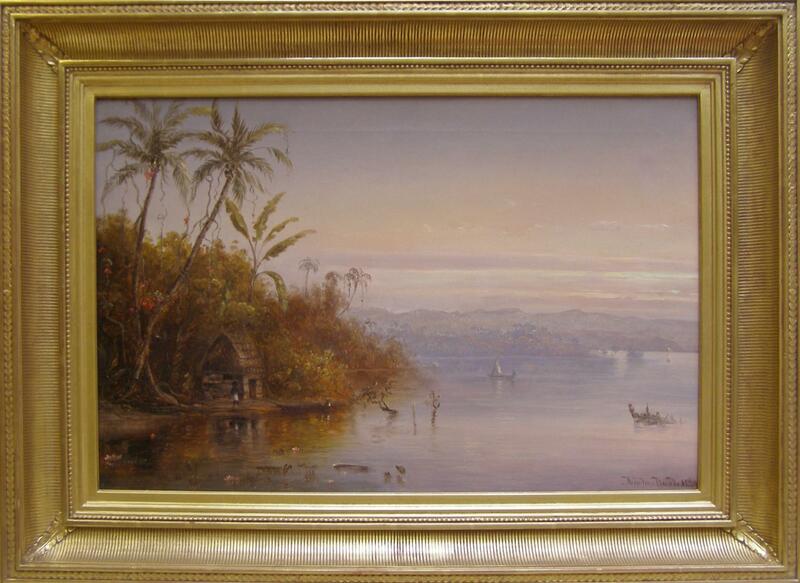 Tropical Sunset is an example of Bush’s stunning tropical views of South and Central America. 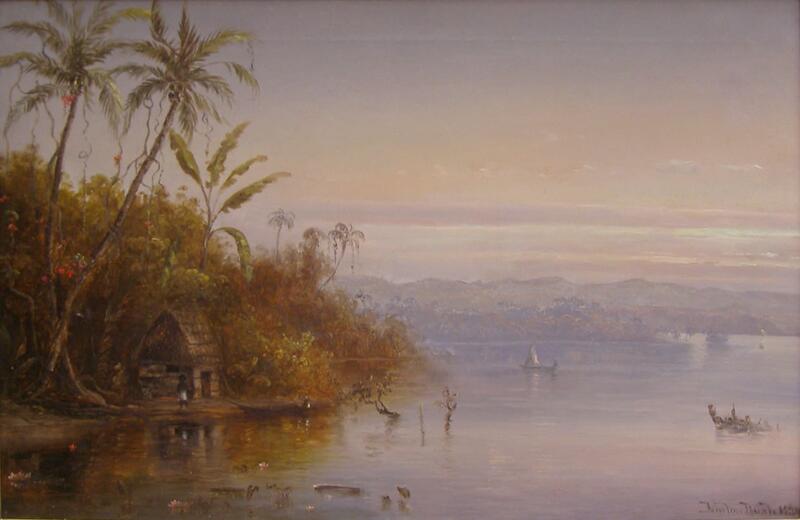 After traveling to these areas, Bush deviated from his earlier focus of portraiture and American coastlines and began to prolifically paint tropical vistas. It was a suggestion by artist friend, Frederick Church, which inclined Bush towards both visiting and attempting to render these lush environments. At this time, Church was widely recognized for his talent as a tropical painter. The communication between these two artists and Bush’s enthusiasm for the genre enabled Bush’s technique to fully come to fruition.